When you take a scan, Genius Scan detects the borders of your document so you don't have to crop and straighten the scan yourself. However, you can adjust the frame of the document both during and after the scanning process. Drag and drop the corner of the quadrangle to adjust the frame of the scan. 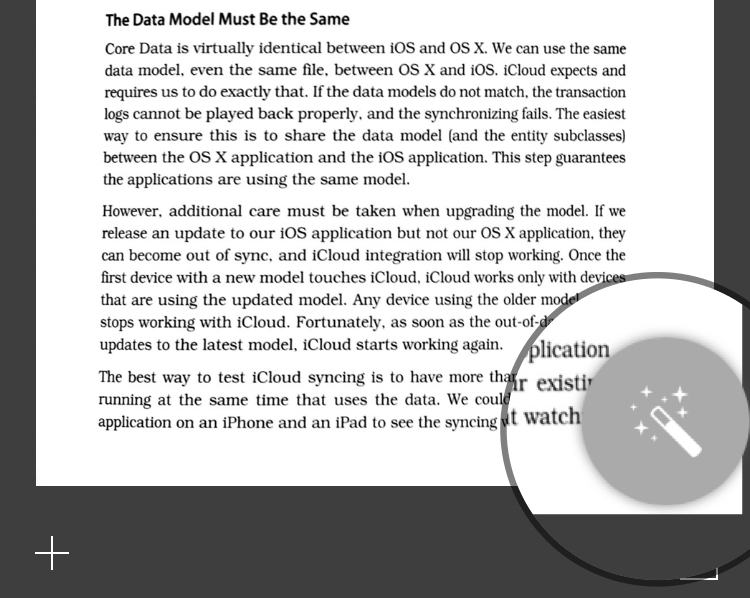 Pro tip: use the magnifier to position the frame with high precision and without your fingers obstructing the preview. Tap as many times as necessary to obtain the right orientation: landscape or portrait, and upside down. 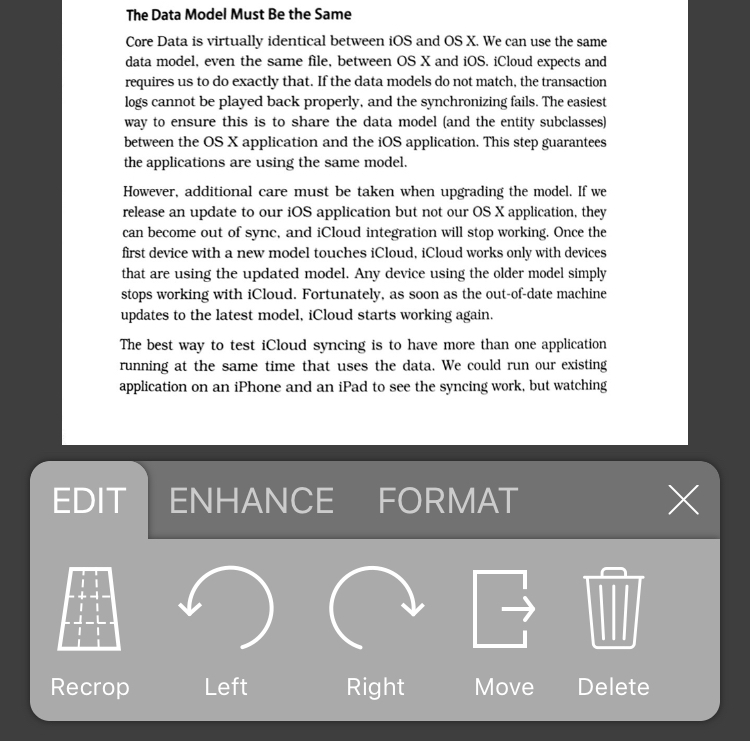 Tap the title of the document in the top-bar to save your changes and go back to your document.